T-Mobile USA and MetroPCS have agreed to merge, joining together two of the nation's largest low-cost wireless carriers. Both companies have been struggling. Though each remains profitable, their smartphone offerings are lackluster (i.e., no iPhone), they are far behind the curve on network technology, and both are shedding customers. The combined company, which will be called T-Mobile, will have 42.5 million subscribers -- 33.2 million from T-Mobile and 9.3 million from MetroPCS. It will also have annual sales of nearly $25 billion, an easier path to 4G-LTE network deployments, and estimated cost savings of up to $1.5 billion per year. The companies said that combining their wireless spectrum, customers and finances will help give the new company the scale and resources it needs to succeed in a market increasingly dominated by AT&T (T) and Verizon (VZ). Industry analysts largely cheered the deal, but noted that it will not be a seamless transition. The deal is complicated by T-Mobile's subsidiary status and the two sides' incompatible wireless technologies. Shares of MetroPCS (PCS) dropped 8% in early afternoon trading on the New York Stock Exchange. 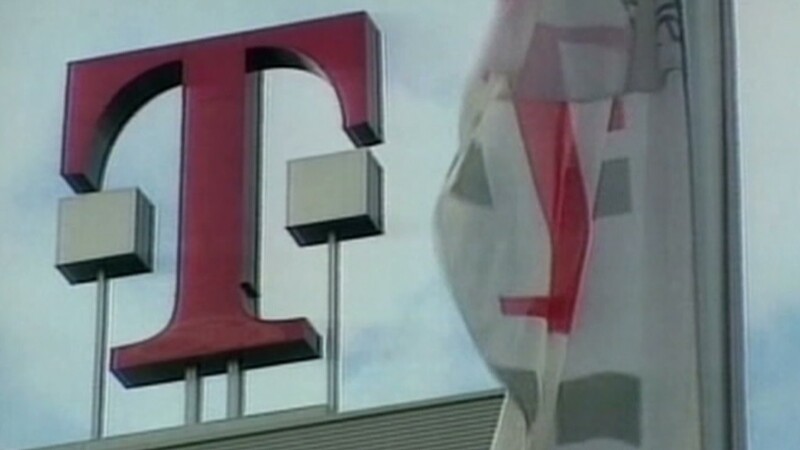 Shares of Deutsche Telekom finished the day essentially flat in trading in Germany. MetroPCS will send $1.5 billion to its shareholders ($4.09 per share) and then perform a 1-for-2 reverse split of its stock -- meaning that the number of outstanding shares would be halved and the value of each share would double. MetroPCS will then buy all of T-Mobile USA's assets by giving T-Mobile parent company Deutche Telekom 74% of its common stock. That means the German telecom giant will remain in control of the combined company, and will provide financial support through debt and credit offerings. Customers, though, will continue to deal with two distinct brands operating separately -- at least for now. The two carriers have different network technologies, which means that MetroPCS' phones are incompatible with T-Mobile's network, and vice versa. The new company plans to deploy a 4G-LTE network that will work across both customer bases. Upgrading all customers discontinuing the legacy technologies will be a gradual, multi-year process. On a conference call with the press Wednesday, company executives said they expect all MetroPCS users to be migrated to T-Mobile's network by the end of 2015. That complex migration will be expensive -- unexpected delays and obstacles could wipe out the $6 billion to $7 billion the two companies say they will gain from "cost synergies" -- and is "a major risk for derailing the benefits of the deal," according to Mike Roberts, analyst at Informa Telecoms & Media. Nomura analyst Mike McCormack also said he believes that any potential cost savings could be offset by profit margin pressures. Executives of the new company, however, say that this deal has advantages over previous wireless mergers between providers with different infrastructure. In particular, they fended off comparisons to the 2005 deal combining Sprint and Nextel, which is widely viewed as one of the worst corporate mergers in U.S. history. New T-Mobile CEO John Legere, who will remain at the helm of the new carrier, said "Sprint-Nextel do-over" talk is "absolutely wrong." Both carriers' transition to 4G-LTE is already in the works, and the combined company will immediately begin moving MetroPCS users to the new network when the merger is approved, he said. MetroPCS' Chief Financial Officer Braxton Carter will stay on as CFO. The companies did not announce plans for MetroPCS CEO Roger Linquist. The new company will have its headquarters in T-Mobile's hometown -- Bellevue, Wash. -- with a presence in Dallas, where MetroPCS is based. Both companies' boards have approved the deal, which they expect to close in the first half of 2013, assuming regulators allow it to go through. "The T-Mobile and MetroPCS brands are a great strategic fit," René Obermann, CEO of Deutsche Telekom, said in a prepared statement. "We are committed to creating a sustainable and financially viable national challenger in the U.S., and we believe this combination helps us deliver on that commitment." The merger is between the nation's fourth- and sixth-largest wireless carriers by revenue, but T-Mobile will not move any farther ahead in the list of largest U.S. cell phone companies. The combined company will still be smaller than third-place Sprint (S) both in terms of sales and number of subscribers. T-Mobile accepted AT&T's $36 billion buyout offer last year, but that deal was scuttled by U.S. regulators. Olbermann said on the press call that he views the current deal as a kind of "reverse IPO," because it gives the new company a "path" toward financial self-sufficiency. But when asked how long he thinks his company will be a stakeholder in the new T-Mobile, he changed his tune. "We are excited about this," he said. "The wireless market is growing in the United States while the market in Europe is shrinking. I love being a shareholder here."